Sometimes there are cravings that you just need to satisfy. 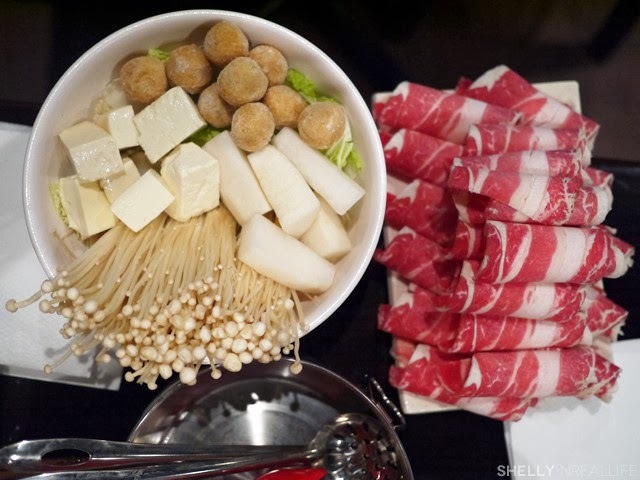 For me, one of those cravings is Chinese Hot Pot - essentially fondue for the Chinese. It involves uncooked meat and vegetables served with a big flavorful boiling pot of broth for you to cook it in. There is nothing else that hits the spot like hot pot for me. 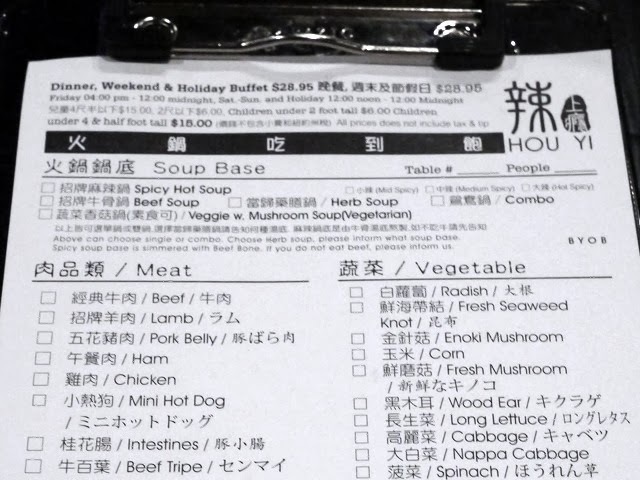 Now, the bad news is that good hot pot in New York is difficult to find. The ones that I've tried in Manhattan Chinatown just had horrible quality of meat (ahem Famous Sichuan) and the good ones are all the way out in Flushing. However, when a craving calls, you have to satisfy it. My friend was really craving hot pot and we were too lazy to go all the way to Queens for the yummy stuff, so we decided on Hou Yi Hot Pot, which he promised was pretty okay the last time he had it. Starting off the meal, I had low expectations considering this place is in Chinatown. Hou Yi actually recently moved locations, so from what I understand, their new location is both cleaner and bigger, but it's still pretty small. 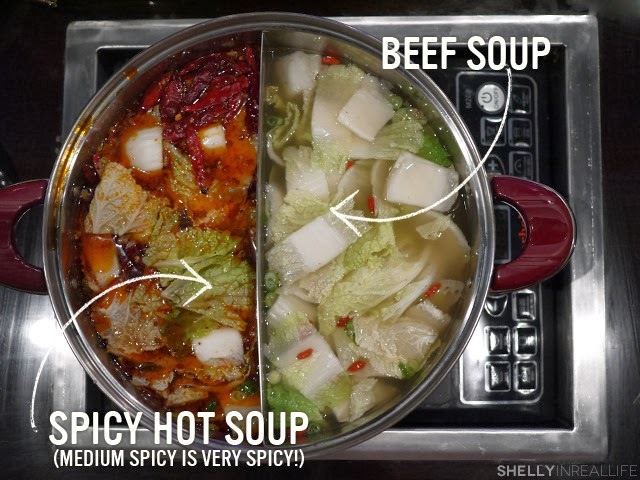 Like a lot of hot pot spots, Hou Yi allows you to choose the type of soup base you want, we chose the combo of two soups. We decided on the beef soup which was pretty good, and the medium spicy soup, which we ended up regretting. The medium spicy is SPICY. It's like legit spicy, so unless you TRULY like the sichuan feeling of "ma la" (numbing), I recommend the mild. We got there at around 12:30pm when it first opened on a Saturday afternoon which was a great time to come because the restaurant was empty. From what I've heard, this place can get busy at night so just beware if you hate waiting. 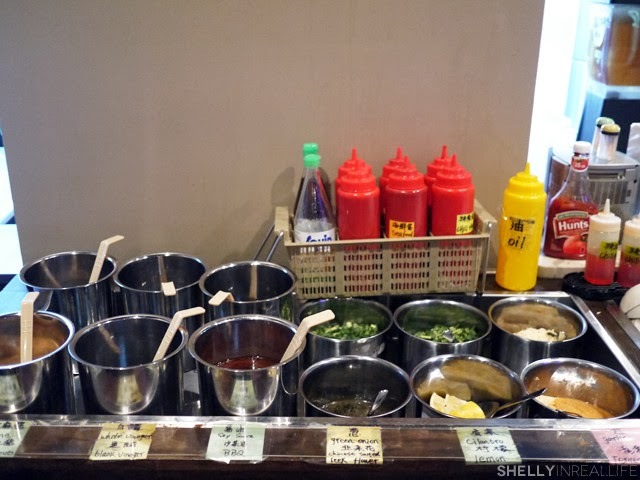 While we waiting for our food to come out, we went to the sauce station which included pretty much almost everything you would want for your hot pot sauce, except for raw egg, which some people like, but it's not for me. My favorite mixture of sauce is soy sauce, bbq/satay, vinegar, sesame paste, sugar, chili oil, chili sauce and a ton of cilantro and green onions. Yummmmm. To my surprise, the ingredients that ended coming out were all really fresh and a good quality, especially the meat. In the background, I heard their meat slicer going so from the looks of it, they must have sliced it off fresh, which is VERY VERY impressive to me as the quality really showed. My favorites ended up being the beef (which is usual for me), the corn, shrimp (they were surprisingly sweet), tofu, udon and the crab which ended up adding a ton of flavor to the broth. If you like a crabby broth, be sure to order that right away and toss it in your soup for extra flavor. We cooked ours towards the end and wished the crab was in there all along for flavor. In addition to the food, they had a full soda fountain as well as an abundance of ice cream that you could serve yourself. J was particularly excited about the ice cream as he said the quality was decent and the variety was unexpected. I'm telling you, we really didn't have high expectations coming here. As we continued our two hours of eating, a few more parties came in, but still not enough to fill the whole restaurant. I'm guessing the later it gets, the more busy it becomes as noted on some reviews I've read. Even with a rather empty restaurant, we found our waitress to be a little bit forgetful with some of the things we ended up ordering after our first round of writing it on the paper. 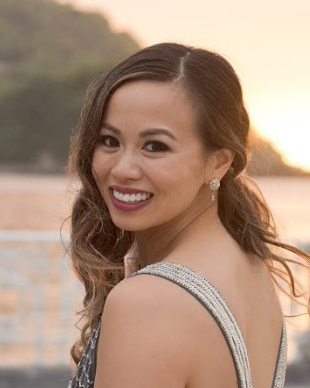 I can only imagine what it would be like if she was managing more customers. All in all, we left very happy campers as our cravings were satisfied. 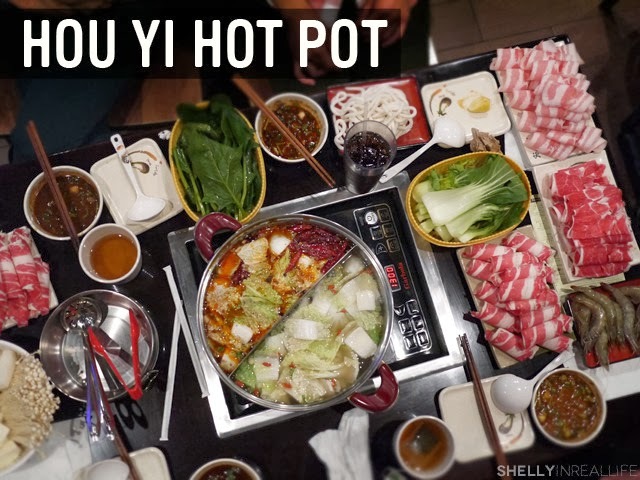 Was this the best hot pot ever? No. 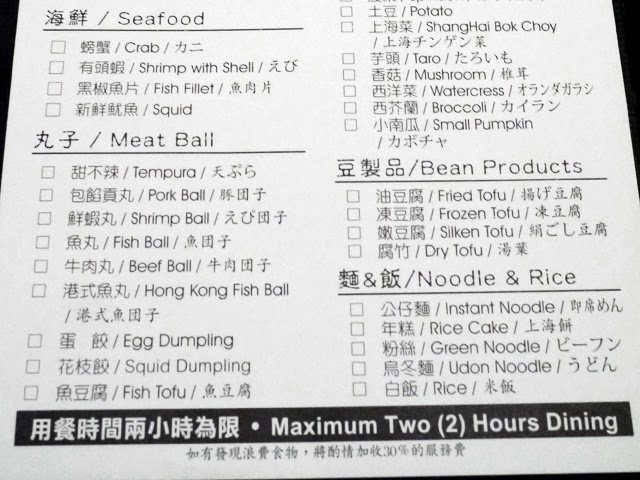 Could we have done cheaper hot pot if we did it ourselves at home? Yes. Would I come back here again? Maybe. But is this probably the best hot pot place you can find in Manhattan Chinatown? My guess is probably. Please let me know if you've had better because I'd love to try it out! So if you want some hot pot, too lazy to do it yourself or go to Flushing, then Hou Yi's your place. Just don't try to go with a group of more than 6 people because I hear they will cram you into a table of 4. 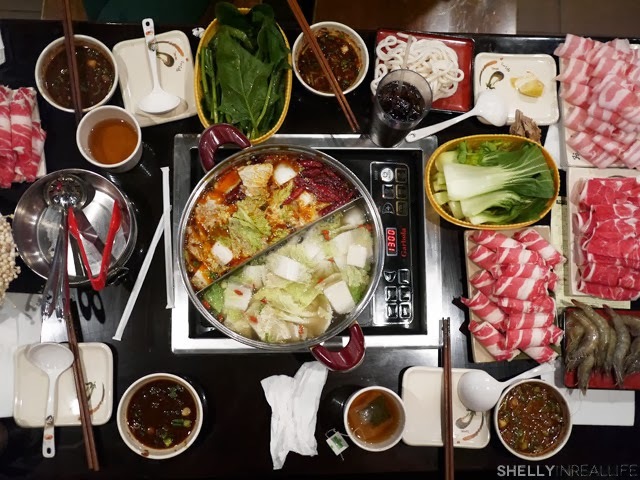 Keep calm and hot pot on!